Typical disc lathes can cause deflection and distortion when discs are machined. The Bardons & Oliver’s 4-axis CNC disc lathe allows both sides of a disc workpiece to be machined simultaneously and is designed with two cutting tools opposite of each other so there is no deflection or distortion. 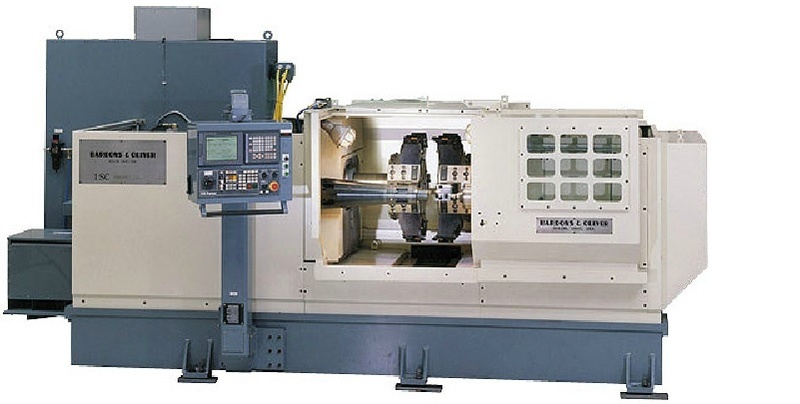 Workholding for the disc lathe consists of a spindle-mounted mandrel that is supported by an out-board tailstock. Our disc lathes are built on Bardons & Oliver’s traditional heavy-duty metal bases and turrets to maximize rigidity and minimize vibration. Bardons & Oliver’s solutions are engineered in the United States and delivered around the world. Our employee-owners find custom engineered solutions to the most complex challenges.